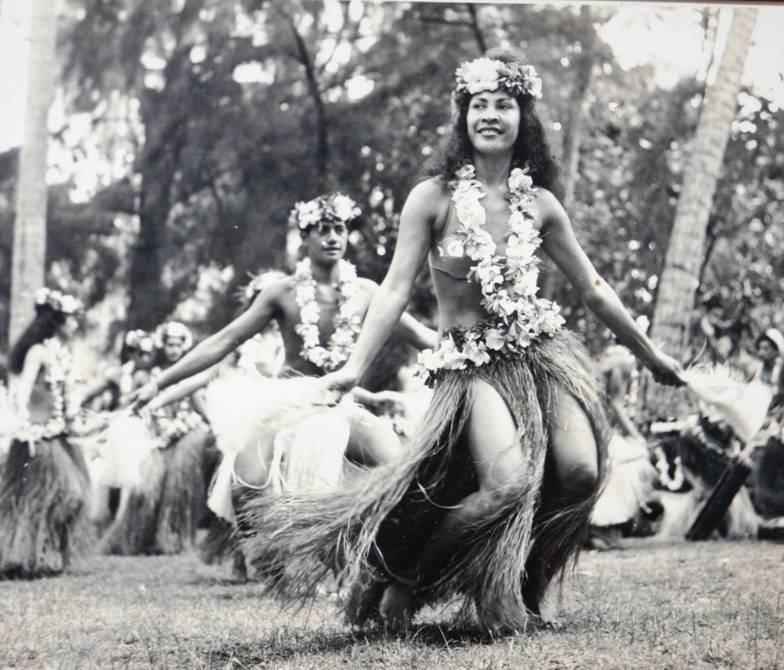 Tahitian Dance is called Ori Tahiti in Tahitian Language as it literally means the Dance of Tahiti. Ori Tahiti is an original artistic expression that has deep roots in ancient Polynesian traditions. At the very beginning, Ori Tahiti was the art representing movement and life of the Tahitian civilization and it was only taught through oral tradition. See here for more history. REVA TAHITI PRODUCTIONS is a cultural organization dedicated to promote friendship, understanding and cultural awareness between the people of French Polynesia and the United States through dancing, singing, education and the cultural arts. We do this at Weekend in Tahiti through dance workshops as well as displaying Tahitian arts and crafts. Polynesia TE FARE UPA RAU since 2005. Established to promote education, the promotion and development of traditional and classical cultures, this settlement which is both a national music school and an administrative institution of the country is specialized in the theory and practice of music, singing, dance, classic arts and recently dramatic arts. Fabien Mara Dinard lives in Tahiti he is the Director of the Artistic Conservatory of French Polynesia TE FARE UPA RAU since 2005 to this day. Established to promote education, the promotion and development of traditional and classical cultures, this settlement which is both a national music school and an administrative institution of the country is specialized in the theory and practice of music, singing, dance, classic arts and recently dramatic arts. Initiated into the traditional arts from his young age Fabien Dinard has spent years practicing the ori Tahiti then became twice the best dancer in the Heiva I Tahiti. From 1994 to 2010 he led the famous professional dance troupe Temaeva as Director a multi winner group of the Heiva founded by the great choreographer Coco Hotahota. "I would first like to welcome all fans of traditional Polynesian arts they are many bringing their greetings and dedication of Tahiti and its islands. Passionate about dance and Polynesian music from my young age I am fully invested in our culture to which I offered my best years. My nomination as Director of the conservatory has allowed me to go further in the process of organizing these teachings: for almost ten years there are thousands of students who went through the Conservatory and all recipients are able to live and support their dance whether in a group or in a school. I also worked to deepen the approach of practicing the arts; whether traditional or classical art. Each art has its respective feature like any art joined in a common goal: universal and sharing. From 1989 to 2009 I was a dancer then successively I became the leader of Temaeva a professional dance group. Temaeva repeatedly have been awarded for the Grand Price of the Heiva I Tahiti and participated in several Festivals of Arts of South Pacific. Temaeva remains the most awarded dance group of Heiva. There were other headlines acquired in our cultural trips around the world but the essential is elsewhere: you have to practice in a good state of mind. With passion first then with respect for the teachings and the source: TAHITI. Although dance is all about creation but it based on foundations that it is essential to acquire. In 1996 I won the title of best dancer of Heiva I Tahiti and in 2004 Temaeva have been awarded for the Hura Tapairu. Participating in various international and Pacific festivals my travels have taught me a lot. I discovered the Cook Islands, Hawaii, Japan, South Korea, Australia, France of course, Taiwan, Samoa, New Zealand, USA and Singapore. 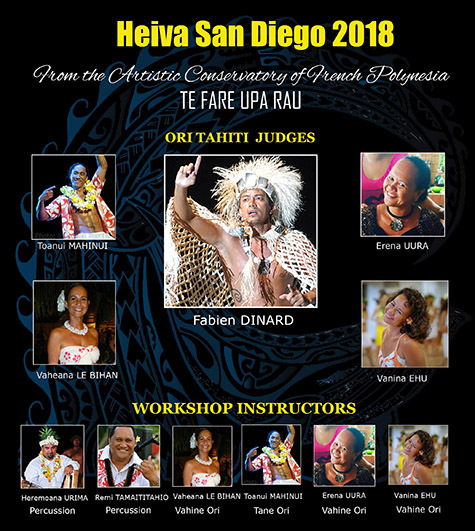 From 2001 to 2013 I had the honor to be a Member of the Jury into various events: Heiva I Tahiti Hura Tapairu, Heiva I Reno, Heiva I Tokyo, Heiva I Utah, Heiva I Costa Mesa. Since 2001 I am President of the Jury of the Conservatory examinations. I noticed that the “ori Tahiti” particularly was practiced worldwide by tens of thousands of practitioners through the five continents. I do not know many others of artistic disciplines which have been so successful in recent years. That is why we have initiated works to codify the basic steps of Ori Tahiti to proceed with the listing of traditional Tahitian dance on the World Heritage List of UNESCO. This will be an outcome, but also for each practitioner who will soon achieve a solid basis, the same for everyone. Good luck to you all and most importantly long live to the culture and ori Tahiti!